May has seen an upsurge in events both domestically and overseas. At international level we have seen the first round of the 2018 World Cup, in association with the European Championships, with mixed results for the small New Zealand contingent. At home the second round of JWOC trials, early in the month, including the Ultralong on Hogsback in Canterbury, saw some really interesting results which culminated in the final selection for Hungary. Not to be forgotten, however, was also the announcement of the team for WOC in Latvia, which rapidly approaches, and of the Pinestars to run against the Australian Bushrangers over Queen’s Birthday weekend in Auckland. It appears that ever since running (and winning) the Australian Ultralong distance event a few years ago Nick Hann has had an urge to plan a similar event here in New Zealand. The first weekend in May saw that dream become a reality with a tough day on the slopes of the Craigieburn Range. The event was also the first of the second set of trials for the JWOC team and formed the third round of the SupeSeries for 2018. Many of the entrants in the M21 and W21 fields were drawn from the strong local crossover between the adventure racing and orienteering fraternity, but it was two from North West – Gene Beveridge and Imogene Scott – who took away the honours. The M21 course of over 13.5 k included a couple of monstrous legs across the steep, beech covered, slopes, but it was early on, as Chris Forne lost time on control 3, that Gene took a lead that he never relinquished. At the first radio control the lead was 5 minutes and although Chris got as close as 2 and a half minutes he could not peg it back further. Cameron Tier was steady all the way through to finish 6 minutes behind Chris, but well clear of Matt Scott in 4th place. In the women’s race, after a long first leg, Imogene took the lead at control 2 and never lost it to record a convincing 9 minute margin over Sara Prince who shaded Georgia whitls by 20 seconds. M21 (13.67 k): 1. Gene Beveridge (NW) 2:34:35, 2. Chris Forne (PP) 2:37:56, 3. Cameron Tier (NW) 2:43:28, 4. Matt Scott (PP) 2:49:07, 5. Nathan Fa’avae (NL) 3:10:40, 6. Ed Cory-Wright (PP) 3:11:32. W21 (8.42 k): 1. Imogene Scott (NW) 1:58:36, 2. Sara Prince (PP) 2:07:45, 3. Georgia Whitla (PP) 2:08:05, 4. Sonia Hollands (PP) 2:11:42, 5. Amelia Horne (RK) 2:35:02, 6. Jana Monro (PP) 2:35:10. 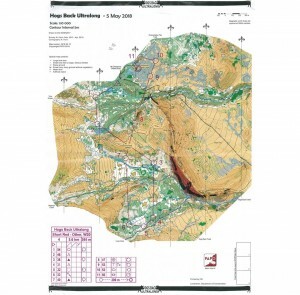 The M20 and W20 courses both saw clear winners. In M20 Joseph Lynch had an 11 minute margin over locals Scott Smith and Oliver Egan, while in W20 Lara Molloy had a 9 minute margin ahead of Katie Cory-Wright and Marina Comeskey. M20 (9.52 k): 1. Joseph Lynch (PP) 1:44:04, 2. Scott Smith (PP) 1:55:27, 3. Oliver Egan (PP) 1:55:53, 4. Callum Hill (NW) 1:58:35, 5. Max Griffiths (NW) 2:02:57, 6. Will Tidswell (HB) 2:05:06. W20 (5.62 k): 1. Lara Molloy (WN) 1:14:17, 2. Katie Cory-Wright (PP) 1:23:16, 3. Marina Comeskey (WN) 1:25:37, 4. Jenna Tidswell (HB) 1:26:03, 5. Briana Steven (PP) 1:26:32, 6. Marisol Hunter (PP) 1:27:09. The following day saw proceedings move back over Porters Pass to Butlers Bush, used in atrocious weather at Queen’s Birthday 2017. On a much calmer and warmer day many of the top 21 runners from the previous day were absent, leaving the fields somewhat reduced. 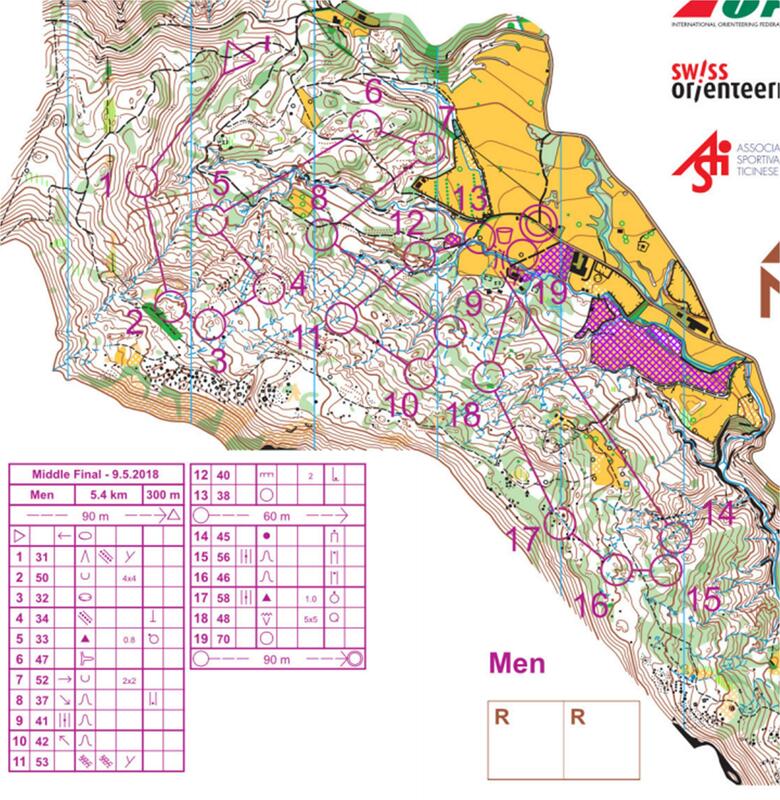 Realistically however, attention centred on the JWOC triallists who were presented, albeit steep beech forest again, with middle distance length courses. Joseph and Katie duly performed recording comfortable wins, but many of the other top performers from the previous day struggled and finished down the field, presenting a few conundrums for the selectors. In M21 Gene repeated his victory of the previous day with Nick Hann interposing himself between Gene and Chris in 3rd. In W21, with Imogene running up on the men’s course, it was left to Amelia Horne to take the honours from Ellie Molloy and Lara Scott. M21 (5.85 k): 1. Gene Beveridge 52:42, 2. Nick Hann (PP) 55:03, 3. Chris Forne 55:23. W21 (4.47 k): 1. Amelia Horne 1:04:46, 2. Ellie Molloy (WN) 1:09:25, 3. Lara Scott 1:09:51. M20 (2.95 k): 1. Joseph Lynch 25:52, 2. Daniel Monckton (NW) 27:30, 3. Aryton Shadbolt (PP) 29:15, 4. Kurtis Shuker (CM) 29:51, 5. Oliver Egan 30:05, 6. Callum Hill 31:37. W20 (2.60 k): 1. Katie Cory-Wright 32:55, 2. Briana Steven 36:33, 3. Meghan Drew 39:47, 4. Marisol Hunter 41:40, 5. Jessica Sewell (NW) 43:05, 6. Tegan Knightbridge (NW) 45:02. April/May have also been busy months for team selections with not only the team for JWOC being finalised, but those for WOC and the ANZ Test Match announced. These of course being in addition to the team for the World University Champs announced in april. Following the second set of trials the final JWOC team for Hungary was announced. Congratulations to the following, who are all showing the benefit of some serious training which, hopefully, bodes well for the main event. Also selected since the ONZ Championships has been the team for the World Orienteering Championships to be held in Latvia in early August. Again, congratulations to the following – races they will each run in brackets. The test Match at Queen’s Birthday will be competed in 4 classes M21E, W21E, M20 and W20. As per the rules the visiting Australians have nominated the number of athletes in each class. M21E (4): Gene Beveridge, Cameron de l’Isle (days 3 and 3), Tommy Hayes, Matt Ogden (day 1), Cameron Tier. W21E (6): Renee Beveridge (days 1 and 2), Amelia Horne, Ellie Molloy, Sarah O’Sullivan (day 3), Tessa Ramsden, Imogene Scott, Heidi Stolberger. M20 (6): Oliver Egan, Max Griffiths, Joseph Lynch, Daniel Monckton, Kurtis Shuker, Will Tidswell. W20 (4): Meghan Drew, Marisol Hunter, Tegan Knightbridge, Jenna Tidswell. Although not a nationally selected team, a group of 8 Kiwi athletes, accompanied by Jenni Adams and Carsten Jorgensen, will also compete at the European Youth Championships in Bulgaria at the end of June. EYOC has M/W16 and 18 classes and 5 of the JWOC team (Will, Jenna, Meghan, Marisol and Briana) will be using the sprint, long distance and relay as a warm-up for JWOC, while Marina Comeskey will be en-route for WUOC. Jessica Sewell and Kaia Jorgensen will also compete. As reported on the ONZ website, a small NZL contingent of Tim Robertson, Tommy Hayes and Laura Robertson were at the first round of the IOF World Cup for 2018. 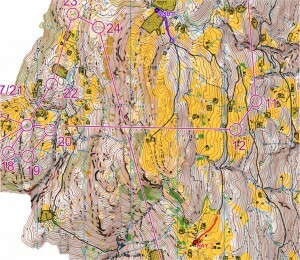 This was held in Ticino, Switzerland as the European orienteering Championships and all three individual events saw steep slopes and technical route choices. Tim, Tommy and Laura all made it through to the sprint final on the first day, which, as WOC will this year, featured qualifying heats and final on the same day. After qualifying 10th in Heat 1, Tim will be disappointed not to have made the top 10, finishing 17th, just over a minute behind joint winners Daniel Hubmann and Matthias Kyburtz. After 15 of the 27 controls Tim was actually in 3rd place and well in contention. Hardly a mistake for most of us, but 24 seconds dropped on #15 saw him plunge to his finishing position. It really is tough at the top! Tommy, finishing 8th in Heat 2 of the qualification, was in the joint lead after the first control(! ), but otherwise had a race he will probably want to forget finishing in 53rd place. Laura, like the men, was the only non-European to make the final, squeaking in in joint 16th place (with 17 to qualify) in Heat 3. Like Tommy she found the afternoon a tough ask finishing 42nd in the final won by Tove Alexandersson. With both qualifying and final held on the same day and with relatively significant climb for a sprint event, backing up 2 hard races is always difficult, and is something that none of the 3 Kiwis had previously experienced at a major championship – the last time it happened at WOC was in Italy in 2014. Men Heat 1: 1. Matthias Kyburz (SUI) 12:48, 2. Daniel Hubmann (SUI) 12:55, 3. Kristian Jones (GBR) 12:59, 10. Tim Robertson (NZL) 13:21. Men Heat 2: 1. Jonas Leanderssson (SWE) 13:33, 2. Marin Hubmann (SUI) 13:47, 3. Peter Hodgkinson (GBR) 13:52, 8. Tommy Hayes (NZL) 14:11. Women Heat 3: 1. Silje Ekroll Jahren (NOR) 13:39, 2. Aleksandra Hornik (POL) 13:55, 3. Julia Gross (SUI) 14:00, 16=. Laura Robertson (NZL) 15:06. Men’s Final: 1=. Matthias Kyburz (SUI) 14:44, 1=. Daniel Hubmann (SUI) 14:44, 3. Kristian Jones (GBR) 14:59, 10. Tim Robertson (NZL) 15:46., 53. Tommy Hayes (NZL) 17:27. Women’s Final: 1. Tove Alexandersson (SWE) 15;16, 2. Judith Wyder (SUI) 15:40, 3. Natalia Gemperle (RUS)15:49, 42. Laura Robertson (NZL) 18:08. Similar to the sprint the middle distance also had qualification heats – something that has not been a feature of WOC since 2013 in Finaland, but which will return next year when the first forest only WOC takes place. Tommy was the only one of the three Kiwsi to make the final running a steady qualification to finish in 8th place in Heat 2, 2 minutes 20 s down on heat winner Florian Howald of Switzerland. In Womens Heat 1 Laura missed out by 44 seconds, finishing in 20th place, while Tim, having started well, made a series of errors on controls 6 through 9 which put paid to his chanes of qualification. He was not alone as many of the more fancied athletes also missed the cut. This included only 1 of the 6 Swedish men qualifying for the final. Men Heat 1: 1. Fabian Hertner (SUI) 24:50, 2 Matthias Kyburz (SUI) 25:47, 3 Oleksandr Kratov (UKR) 26:33, 32. Tim Robertson (NZL) 38: 23. Men Heat 2: 1. 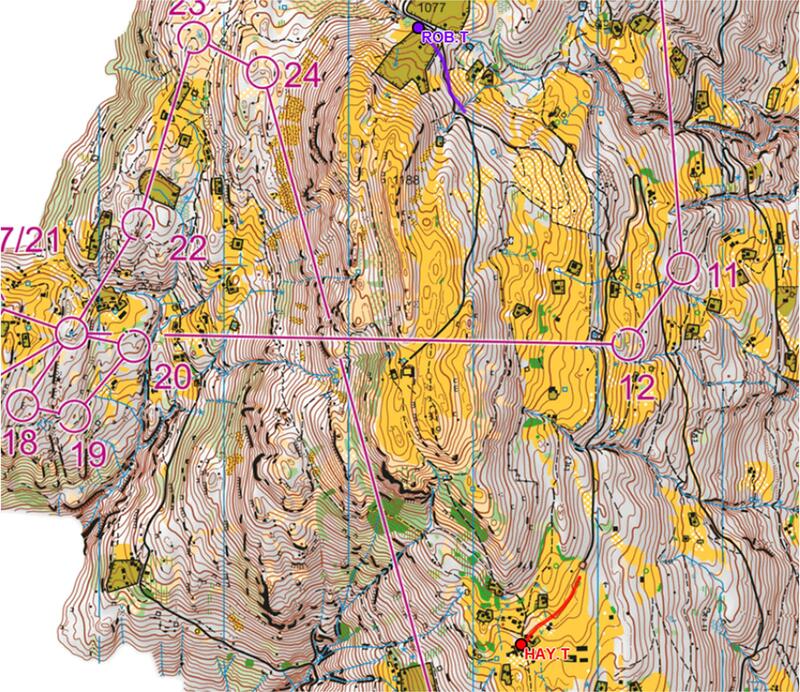 Florian Howald (SUI) 26:57, 2 Olli Ojahano (FIN) 27:04, 3 Johan Runesson (SWE) 27:34, 8. Tommy Hayes (NZL) 29:17. Women Heat 1: 1. Marika Teini (FIN) 26:30, 2 Tove Alexandersson (SWE) 27:23, 3 Denisa Kosova (CZE) 27:49, 20. Laura Robertson (NZL) 31:21. Unfortunately, Tommy’s experience in the final mimicked that in the sprint to a certain extent. A solid start was tripped up by a relatively big mistake on #9 where he appeared to pull up short on a long contour across the steep slope. This was compounded by another small mistake on 10, leaving himin 50th place, well down the field. As can be seen from the map below, the terrain was typically Swiss – very steep with lots of intricate gullies and 300m of climb over 5.4 km. The Swiss, on home territory were the big winners with not just gold and silver, but 5 men in the top 9! In the women’s race there was a bit of a surprise as Marika Teini of Finland held out reigning world champion Tove Alexandersson to take the gold. Men’s Final: 1. Matthias Kyburz (SUI) 34:25, 2. Florian Howald (SUI) 35:35, 3. Olav Lundanes (NOR) 35:47, 50. Tommy Hayes (NZL) 47:31. Women’s Final: 1. Marika Teini (FIN) 35:44, 2. Tove Alexanderssson (SWE) 35:52, 3.Simona Aebersold (SUI) 36:02. With no sprint or forest relay teams NZLs next involvement was with Tim and Tommy in the long distance. This was a mammoth – interestingly longer (~15 km) and with comparable climb (910 m) to Nick’s Ultralong on Hogsback, albeit without the New Zealand beech forest! The phenomenally complex and steep map led to some wonderful route choice options, perhaps illustrated by the snapshot from the live tracking showing the different routes taken by Tim and Tommy between 12 and 13. In the big field both Tim and Tommy had excellent runs, Tim being under 11 minutes back from winner Olav Lundanes in 27th place, and Tommy 10 minutes further away in 49th. The home territory Swiss were again the big winners with 4 in the top 10 behind Lundanes, and Sweden placed 6 runners in the top 25. With only 3 per nation, at WOC, taking out these extras, Tim’s run would have been close to the top 20. The women’s race was won convincingly by Tove Alexandersson ahead of Natalia Gemperle of Russia and Swiss Julia Gross. Men: 1. Olav Lundanes (NOR) 1:34:42, 2. Matthias Kyburz (SUI) 1:35:34, 3. Gernot Kerschbaumer (AUT) 1:35:54, 27. Tim Robertson (NZL) 1:45:28, 49. Tommy Hayes (NZL) 1:56:20. Women: 1. Tove Alexandersson (SWE) 1:21:08, 2. Natalia Gemperle (RUS) 1:26:08, 3. Julia Gross (SUI) 1:26:49. Although NZL had no teams, for the record the sprint relay was won by the Swiss ahead of Sweden and Norway – perhaps the increasing competitiveness of this relay being shown by Austria finishing 5th, and reigning world champions Denmark slipping to 7th. In the forest relays the men’s was taken out by Norway ahead of hosts Switzerland with France in 3rd place, while Switzerland, Sweden and Denmark filled the women’s podium. Queen’s Birthday will see the final round of the 2018 SuperSeries. In M21E a close battle has developed between Matt Ogden and Gene Beveridge, there being some distance to Cameron Tier in 3rd. However, with 7 events to count, and with Matt involved in the organization of two days at QB, the odds seem stacked in Gene’s favour. In W21E things also look set to change as Imogene Scott and Renee Beveridge have only 4 and 3 events counting. Of those above them Amelia Horne and Ellie Molloy will need to improve on previous scores, and Amber Morrison and Sara Prince are absent from the field. The Junior Men looks more predictable as it is difficult to see anyone overhauling Joseph Lynch even though he too has to discard scores from now on. Perhaps the most intriguing battle looms in W20 where, with Katie Cory-Wright and Lara Molloy now overseas, consistent performances over the weekend could see any of Marisol Hunter, Briana Steven and Marina Comeskey could come. The scoring system, which favours the top 3, means that neither can Jenna Tidswell be ruled out. As those at home tune up Queen’s Birthday, both those based overseas and some earlier travellers for JWOC have been starting their preparations for the big events. Of the JWOC team both Katie Cory-Wright and Lara Molloy have travelled to Europe early and seen success. Katie took out W20 at the British Championships (run at Balmoral whilst Her Majesty was at the Royal Wedding), while on the same weekend Lara competed in a pre-JWOC event in Hungary. Although it seems impossible to find results from this on the web I am assured that a photo has been received of Lara with a medal of unknown colour! The following weekend the two of them joined up at the Scottish Championships, run on the long distance map from WOC 2015, with Lara finishing 3rd in W20 and Katie 8th. Katie and Lara now go on to train in Halden, Norway – Lizzie Ingham’s base – and then return towards Hungary via Tim Robertson in Austria. Kayla Fairbairn, spending a year in Edinburgh, also ran in W21E in both the British and Scottish Championships events, with Laura Robertson turning out in the Scottish relay for the Edinburgh Southern orienteers who finished second. Tim and Lizzie have also been in action at the Austrian and Norwegian Sprint Championships respectively. In Austria, Tim was a comfortable winner by just over half a minute, while Lizzie, still tracking back to full fitness after her operation, finished 8th, following a 3rd place in her morning heat. In the Austrian Middle Championships on the following day Tim appears as an unexplained DSQ despite having had the fastest time. Meanwhile Lizzie anchored Halden to 4th place in the Sprint Relay.